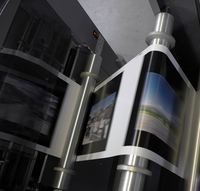 Print-on-demand is a printing technology that has made it economical to print just one copy of a book at a time. This is because it uses digital printing rather than the traditional methods of letterpress and offset printing, which was too complex to print a one-off book. How much does print-on-demand printing cost? When print-on-demand was first introduced, the the unit cost (the cost per book) of printing just one book at a time was far higher with print-on-demand than it was for a print run of thousands. Thankfully, print-on-demand has come on leaps and bounds since then and a single copy of a book can cost as little as £1.25/$2 to print now, with no set-up costs. 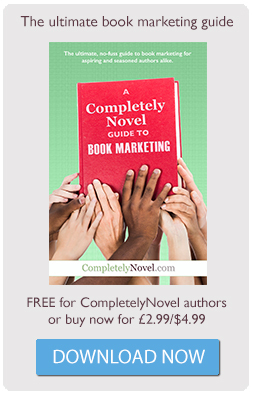 You can find out what your book costs to print with CompletelyNovel using this print cost calculator. Mainstream publishers use print-on-demand for backlist titles to maintain availability without paying high storage costs. It’s also useful for niche publications that have a smaller audience. CompletelyNovel offers a unique print-on-demand self-publishing service that enables you to create, print and sell copies of your book, whilst keeping 100% of the book royalties. You can upload a Word or PDF document direct to CompletelyNovel and we will turn it into a print-ready PDF for you. We have free advice on formatting and typesetting to help you ensure your book looks professional, or we offer an expert typesetting service for just £30/$45. Our specialised online cover creator makes it really straightforward to design your front cover, spine and back cover. You can upload your own images and text, and our creator will automatically size it for you, ready for printing. Take a look at our cover design advice from experts for more information on cover design. Our handy price calculator will help you price your book by calculating the expected royalties from a number of retail prices (or RRPs) once your print price and the 30% retailer discount has been deducted. CompletelyNovel links to a number of different print-on-demand printers, who operate in different countries. You can select the one that suits you for printing copies of your own book, and once your book is sent to the distributors for publication, your book will be printed with high-quality printers, Lightning Source. Find out your print-on-demand print price. Read more about how print-on-demand platforms like CompletelyNovel work. Five great ways printed books can work for self-published authors.